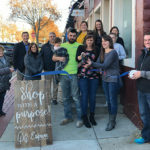 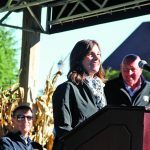 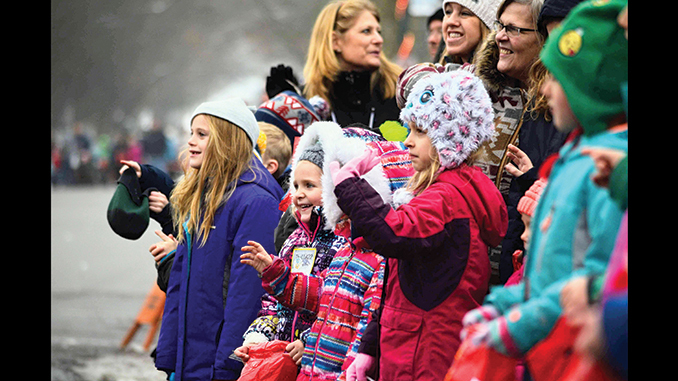 There was snow on the ground and hot chocolate in the hands of the crowds lining the streets of Downtown Rockford on Sunday, December 1st. 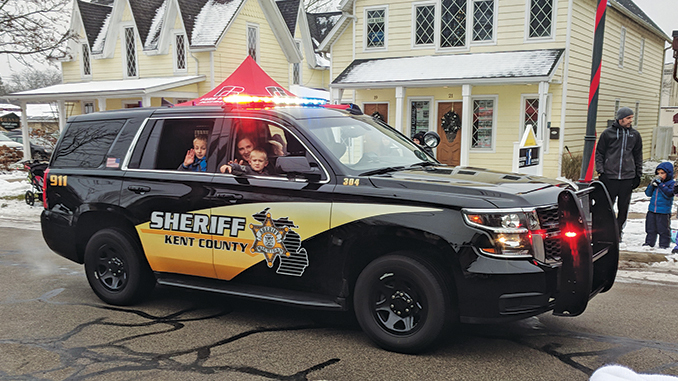 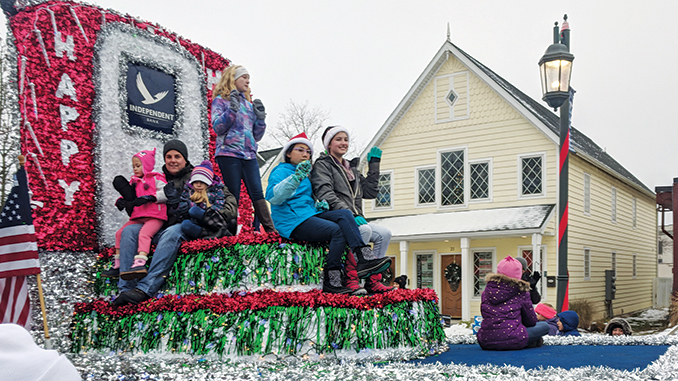 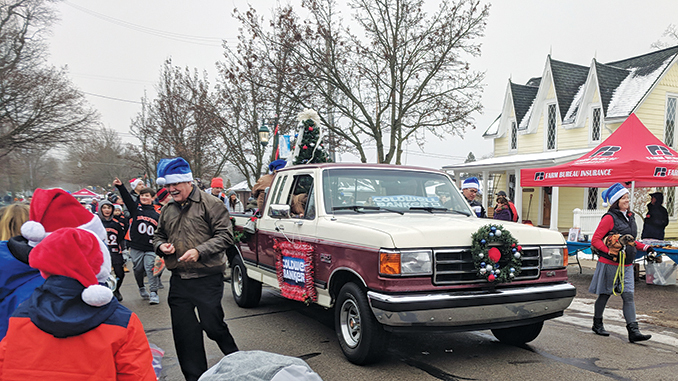 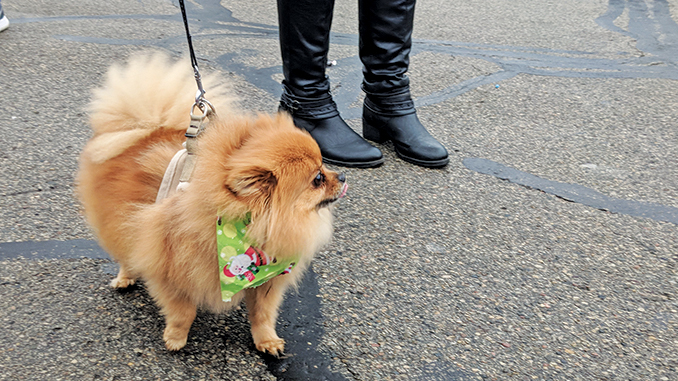 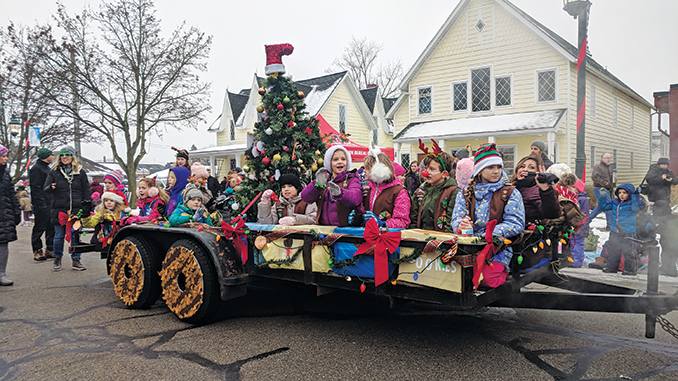 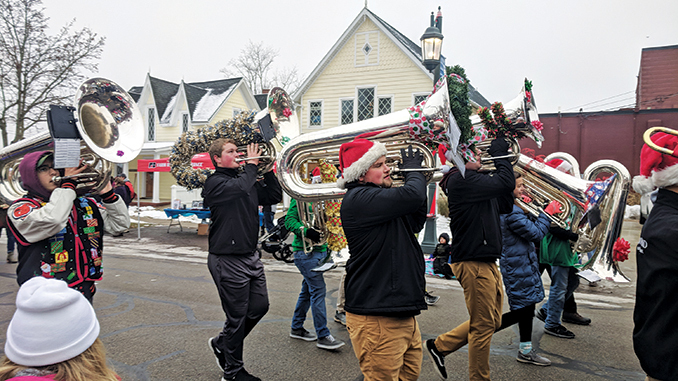 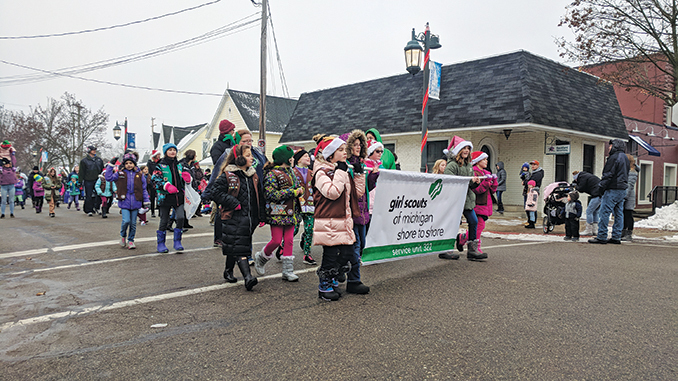 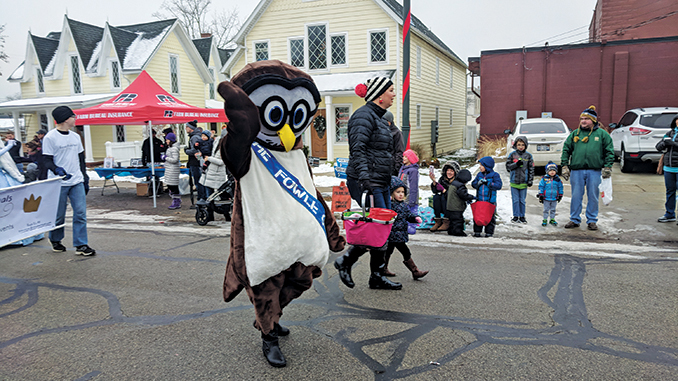 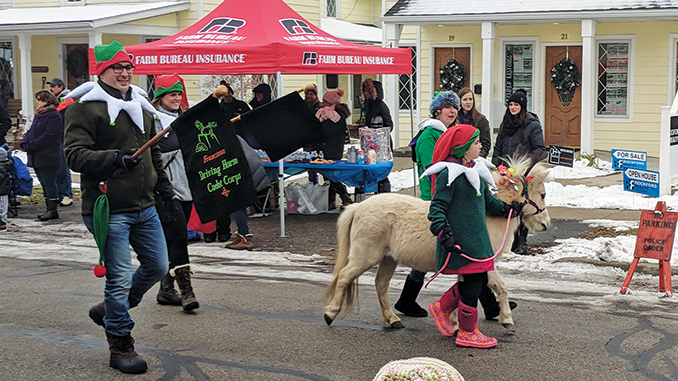 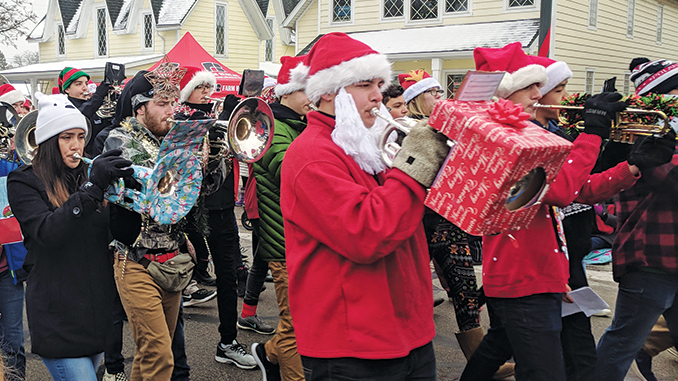 The 75th Annual Santa Parade was underway at 11:00 a.m. with colorful floats, ponies, puppies, the Rockford Marching Band, and representatives from local clubs, organizations, and businesses filling the streets. 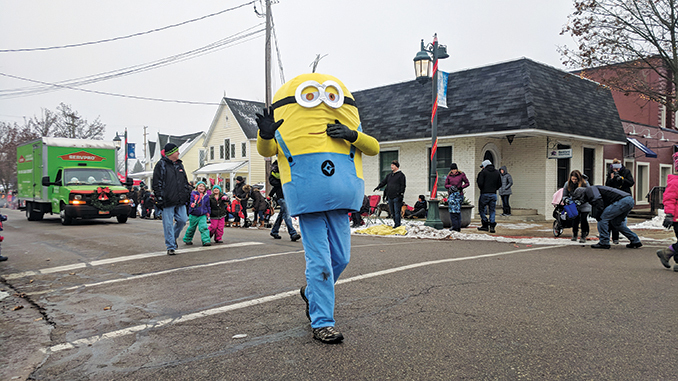 Several Businesses handed out snacks and hot beverages to the crowds. 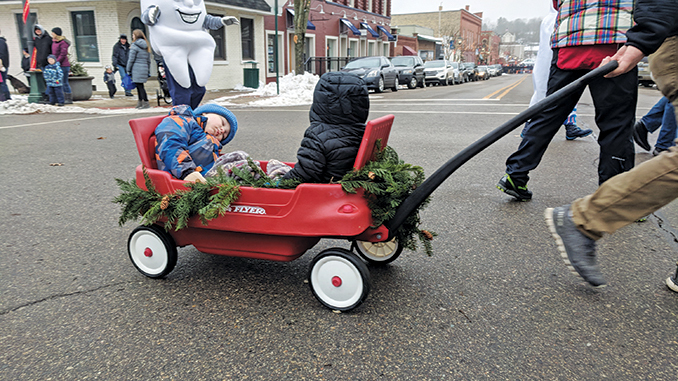 There was even a campfire and warming station for combating the cold. 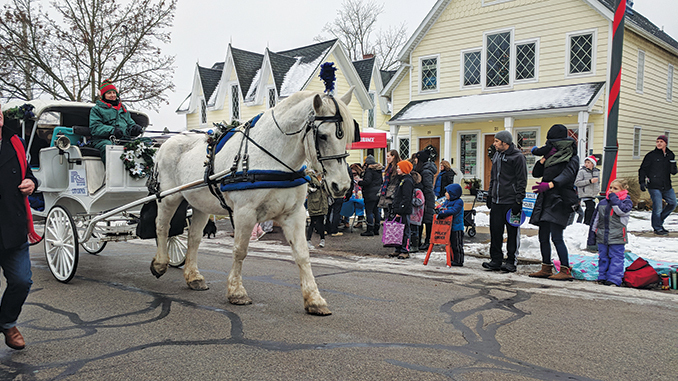 Kids perfected their candy catching skills for about an hour until the sound of hooves on pavement signaled that the big man himself was on his way. 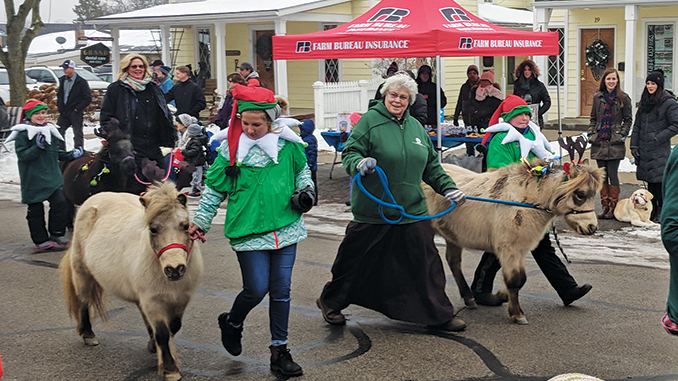 Two carriages pulled by white draft horses, with elves at the reins, carried members of the Rockford City Council and Santa Claus himself as the big finale. 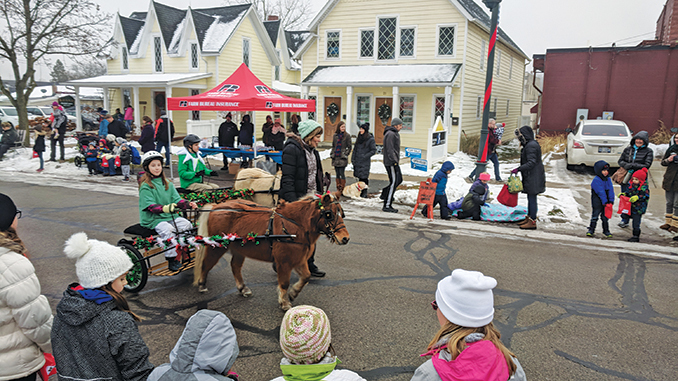 Afterwards there were free Carriage rides downtown, and Santa met with children at the Rockford Rotary Pavilion. 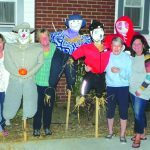 Santa will be back at the Rotary Pavilion on December 12, from 6:00 p.m. – 8:00 p.m.
Largest Scarecrow event in the USA needs you!